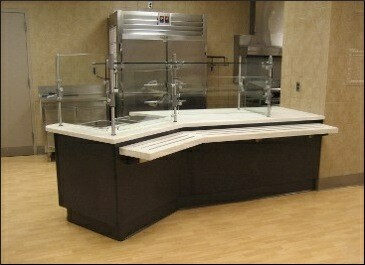 Renovating and updating the existing servery. Working together with the hospital, PFDI designed and executed a functional and attractive space that features custom designed counters along with new equipment while remaining budget conscious. The objective was not only to update the existing servery area, but also to create a functional and streamlined experience for the customers and employees.